Farrow & Ball has a cult following when it comes to their palette of 132 timeless colors. 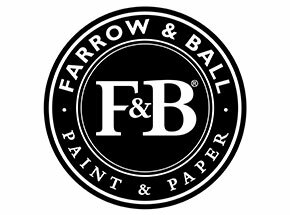 Farrow & Ball paints are born and bred in Dorset, England, their home since 1946. Founders John Farrow and Richard Ball were passionate about creating richly pigmented paint using age-old methods and it’s a passion that is matched by their craftsmen today. Hirshfield’s Edina store stocks an assortment of colors and sheens based on recommendations from Farrow & Ball. Not all colors and finishes are stocked at the store. When you select a non-stocking colour it takes 2-3 days to bring into the store. Farrow & Ball paints are pre-mixed at the factory so there’s no tinting involved at the store. Sample pots available in the entire range of Farrow & Ball colors in their signature Estate Emulsion finish. Hirshfield’s Edina location and Hirshfield’s Design Studio carry the Farrow & Ball wallpaper collections. Handcrafted wallpapers, made using Farrow & Ball paints and printed in the traditional block-printing method. UPDATE — You can see the colors and pick up a Farrow & Ball color card at Hirshfield’s Edina, Roseville and Hirshfield’s Design Studio. The Edina and Roseville stores also carries Farrow & Ball sample pots for purchase. Questions about Farrow & Ball? Hirshfield’s is here to help! If you have a question relating to Farrow & Ball or you would like an updated Farrow & Ball color card simply fill out the information below.